Fortinet to participate in and contribute to the world?s largest annual gathering of top security leaders, vendors and organizations as a Gold Sponsor at RSA Security. Read the latest Fortinet threat report to understand how cyber and physical convergence is creating new attack opportunities for Cybercriminals. 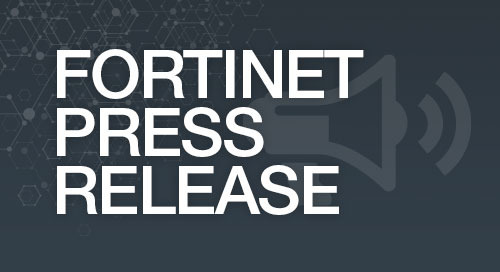 Fortinet today announced financial results for the fourth quarter and full year ended December 31, 2018. Read the full release to view the strong fourth quarter results and a strong finish to 2018. Fortinet will announce their Q4 financial results on on Wednesday, February 6 at 1:30 p.m. Pacific Time (4:30 p.m. Eastern Time).